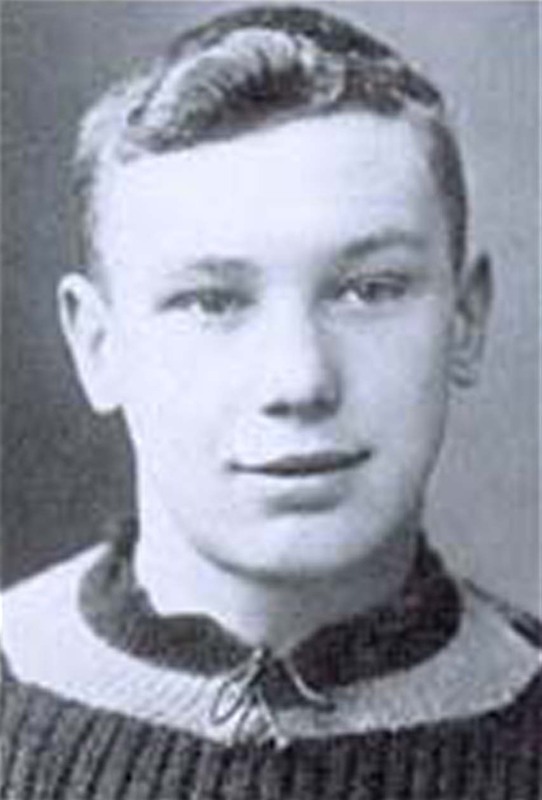 Stephenson, one of three footballing brothers, started his career in Junior Football with local side New Delaval Villa, before joining West Stanley in 1908. He had a spell with Blyth Spartans and then Durham City in 1909, before being signed for £175 by First Division Aston Villa in March 1910 and played five games in which he found the net three times before being loaned to Stourbridge. He was there from August 1910 to February 1911 but once back at Villa he became a regular and between 1911 and the cessation of Football League games in 1915, due to the First World War, he scored forty-seven goals in one hundred and twenty-seven League games and eight goals in thirteen F.A. Cup matches. Stephenson was described as being an expert schemer, who passed the ball with fine judgement, was no mean goal-scorer, could shoot with both feet, had good pace and was never afraid to rough it with the burly defenders. Aston Villa were runners-up to Sunderland in 1912-13 with Stephenson being third leading scorer with fourteen of the eighty-six Villa scored that season. However Villa had their revenge in the F.A. Cup when after beating Derby County 3-1 at the Baseball Ground, West Ham United 5-0 at Villa Park, Crystal Palace 5-0 at Villa Park, Bradford City 5-0 at Valley Parade and Oldham Athletic 1-0 at Ewood Park in the Semi Final, Villa, in front of a crowd of 120,081 at Crystal Palace triumphed by the only goal of the game from Right Half Tommy Barber in the closing minutes. Stephenson's career was interrupted by the First World War. He joined the Royal Navy, becoming a Leading Seaman, and for a long time acted as physical training instructor at the Crystal Palace depot. He guested for Hartlepool United (1918-19), and South Shields and District (1919) during World War 1. But it was his guest appearances for Leeds City that wrote his name indelibly into the annals of the Elland Road club. He first started guesting in February 1916 and missed very few games, as Leeds became one of the best teams in the land topping the Midland Section of the Principle Tournament in 1916-17 and again in 1917-18. It was decided to have a play-off to decide the unofficial champions of England and there was pandemonium when Stephenson was not available for the two-legged final with Stoke in May 1918. Leeds were fortunate to get the services of Billy Hibbert as Stephenson’s replacement and his goal helped Leeds to take the title. He was back at Elland Road in 1919 to play the final months of the 1918-19 Tournament but Leeds could only manage fourth. There was much speculation that Herbert Chapman was going to bring Stephenson to Leeds after the cessation of World War One, but it was premature and he returned to play for Villa for a further spell. In 1919-1920, the first season after the war, Stephenson was Aston Villa's top scorer with twenty-seven goals in thirty-nine games. He won his second F.A. Cup winners' medal when Villa beat Huddersfield Town 1-0 in April 1920 in front of a crowd of 50,018 at Stamford Bridge, with Ex-Leeds City player, Billy Kirton getting the winner. While at Villa Park he finished up scoring eighty-five goals in one hundred and ninety-two League games and eleven, including one penalty, in twenty-four F.A. Cup ties. He played in trials for the England team while at Villa but the feeling was that he lacked pace, even though he was a sweet passer of the ball and possessed a strong shot. In March 1921 Stephenson was sold to Huddersfield Town for £3,000. A dispute over his continued residency in Newcastle had precipitated the transfer, although there was also a growing feeling that he was past his best. Herbert Chapman, the Manager of Huddersfield Town, brought out the best in Stephenson. Huddersfield reached the 1922 FA Cup Final against Preston North End. They scored the only goal of the game, a penalty conceded by Tommy Hamilton. It was awarded when Hamilton tripped Huddersfield's outside-left Billy Smith. He admitted the offence but claimed it was outside the penalty area. Stephenson therefore became the first player in the Twentieth century to win three F.A. Cup winners’ medals. Stephenson won his first and only International Cap for England against Wales on 3rd March 1924 in a 1-2 defeat at Ewood Park, Blackburn, but did represent the Football League on three occasions. He was also made captain of Huddersfield Town, who went on to win the First Division title in 1923-24, 1924-25 and 1925-26. Herbert Chapman wrote to Stephenson "I want to thank you personally for your play, your wholehearted efforts both on and off the field. I have never had such confidence in any captain of a team I have been associated with." By the time he retired from playing in 1929, Stephenson had scored forty-two goals in two hundred and forty-eight League games and another eight in twenty-seven F.A. Cup ties for the club. In May 1929, Stephenson was appointed manager of Huddersfield Town. The team never recaptured the form achieved under Herbert Chapman. They did reach the F.A. Cup Final on two occasions, losing to Arsenal by 2-0 in 1930 and Preston North End 1-0 in 1938. Stephenson left the club during the Second World War, in May, 1942. He later worked as a caterer in the town. His brother George Ternent Stephenson signed for Leeds City but was one of the players that were auctioned at the Hotel Metropole, bringing £250 as Aston Villa picked up a bargain as he gave them seven seasons’ good service and was capped three times by England. He also played for Derby County, being sold by Villa for £3,000, Sheffield Wednesday, Preston North End and Charlton Athletic. His other brother James played alongside his elder brother when guesting for Leeds City and at Aston Villa and also played for Sunderland, Watford and Queens Park Rangers. Clem Stephenson died in Huddersfield on 24th October 1961.